 Investor FAQs - USPh - U.S. Physical Therapy, Inc.
What does U.S. Physical Therapy do? U.S. Physical Therapy is the largest publicly-traded, pure-play operator of outpatient physical therapy clinics, with over 500 clinics in 42 states across the United States. Where is U.S. Physical Therapy's corporate office located? U.S. Physical Therapy headquarters is in Houston, TX. The company’s principal executive offices are located at 1300 West Sam Houston Parkway South, Suite 300, Houston, Texas 77042. Our telephone number is (713) 297-7000. Where and when was U.S. Physical Therapy incorporated? Our Company was re-incorporated in April 1992 under the laws of the State of Nevada and has operating subsidiaries in various states in the form of limited partnerships, limited liability corporations, and wholly-owned corporations. What is U.S. Physical Therapy's ticker symbol and on what exchange does it trade? U.S. Physical Therapy’s ticker symbol is USPH. We are traded on the New York Stock Exchange. Where and when is the annual shareholder meeting? U.S. Physical Therapy’s annual shareholders meeting is normally held in May. Please see our proxy for additional information. Can shares of common stock be purchased directly through the company? U.S. Physical Therapy does not offer a direct stock purchase program. Please contact your financial advisor or broker to learn about purchasing U.S. Physical Therapy’s common stock. Does U.S. Physical Therapy pay a dividend? Since 2011, the Company has paid a quarterly dividend to stockholders. The dollar amount of the quarterly dividend has steadily increased over the years. When does U.S. Physical Therapy's fiscal year end? U.S. Physical Therapy’s fiscal year end is December 31.
Who is U.S. Physical Therapy's independent auditor? U.S. Physical Therapy’s independent auditor is Grant Thornton. Who are the Company's officers and directors? The biographies of U.S. Physical Therapy’s officers and directors are available in the corporate governance section of the website. Who is U.S. Physical Therapy's transfer agent and how does one contact the transfer agent regarding stock certificates or change of address? U.S. Physical Therapy’s transfer agent is Continental Stock Transfer & Trust Co..
How can I find information on U.S. Physical Therapy's SEC filings? All of U.S. Physical Therapy’s filings can be found on the SEC filing section of the company’s website. Who do I contact if I have an additional question that has not been answered?